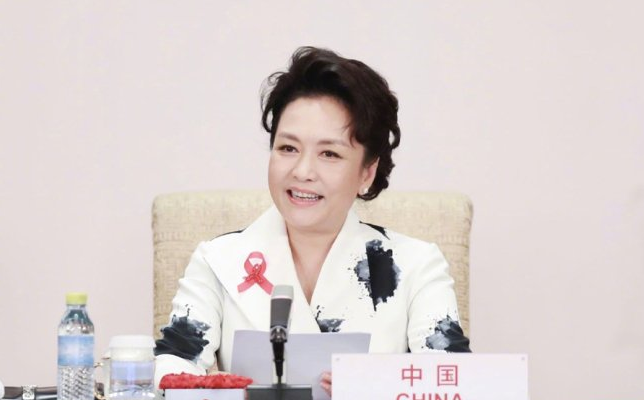 Peng Liyuan, wife of Chinese President Xi Jinping, attended a China-Africa meeting on HIV/AIDS prevention and control in Beijing on Tuesday. Peng, together with 37 spouses of African heads of state and government, launched an initiative at the meeting for joint efforts by China and Africa to combat HIV/AIDS. Making concerted efforts against HIV/AIDS has become a global consensus, and cooperation between China and Africa in this regard has been effective, said Peng, who also reviewed her work as the World Health Organization (WHO) Goodwill Ambassador for Tuberculosis and HIV/AIDS. She said the ongoing Beijing Summit of the Forum on China-Africa Cooperation has provided new opportunities for deepening China-Africa cooperation on HIV/AIDS control. China, African countries and relevant international organizations will begin implementing in 2019 a three-year project on HIV/AIDS prevention among adolescents and health promotion on the community level, Peng said. At the meeting, WHO Director-General Tedros Adhanom Ghebreyesus, and Michel Sidibe, executive director of the Joint United Nations Programme on HIV/AIDS, made positive comments on China-Africa cooperation on combating HIV/AIDS and commended Peng’s outstanding contributions to raising awareness of HIV/AIDS prevention and caring for AIDS patients. “You can hear from the reports of the first ladies. It was very explicit after we first worked in South Africa with the first ladies, we have been making a lot of progress, we are close in many countries today to reaching this goal,” said Sidibe. By the end of 2017, China has made great progress in eliminating the spread of HIV through blood transfusion and has effectively controlled transmission from mother to child during pregnancy. China has been actively supporting African countries in combating HIV/AIDS, sending medical teams to more than 40 African countries and providing them with free medicine, medical equipment and supplies.